Hello lovelies! It's been a couple of weeks since I last posted anything - things have been pretty hectic recently and I haven't really had time to create any new recipes or write product reviews. Life just gets in the way sometimes and that's okay! Today I wanted to share some exciting news with you all; I recently wrote a blog post about some of my favourite vegan fashion companies, one of which was the wonderful Beyond Skin. Beyond Skin are a certified vegan brand who create the most gorgeous footwear which is stylish as well as being cruelty-free. They're currently in the process of launching their new Autumn/Winter 2016 collection (which is insanely beautiful! ), including a collaboration with World Animal Protection UK. They've designed two styles exclusively for World Animal Protection to support their 'Wildlife Not Entertainers' campaign which helps end the use of animals in tourism, such as tigers being used as tourist photo props. 10% from each sale of the shoes goes to World Animal Protection, which is amazing and such a good cause to get behind - I don't know about you but being able to help animals and donating to charity whilst buying new shoes is a dream come true for me! 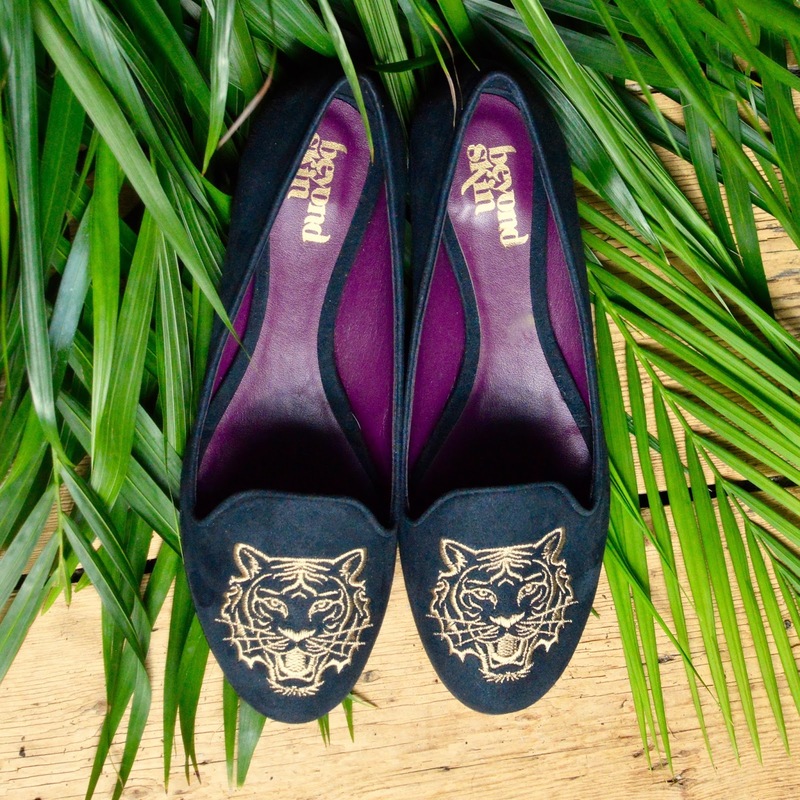 The shoes themselves are absolutely stunning and are made with the highest quality material - and of course, no animals are harmed in the process! Definitely head over to Beyond Skin if you're looking for luxury vegan footwear, and make sure you check out their fabulous new collaboration while you're at it. Disclaimer: I was not paid or given a free product in exchange for this blog post, I just wanted to spread the word about a wonderful cause! As usual, all opinions are my own. Wow, I've never heard of this company before but their shoes look beautiful! Those embroidered slippers are gorgeous..they remind me so much of the Charlotte Olympia slippers but are far less costly. It's still more than I'd spend on flats but I've saved them to my Pinterest to pine over anyway haha so lovely!